One of our favorite apple pies to make for Thanksgiving is one that includes dried sweetened cranberries with the apple filling, and a little bit of brandy too. My father originally found a recipe for apple cranberry pie years ago in Bon Appétit magazine (Oct, 1998). We’ve modified it somewhat over the years, experimenting with different crusts and baking temperature and times. We love the sweet and sour interplay of apples and cranberries in this pie! Like our classic apple pie, this one benefits from a mix of different kinds of apples. Since some apple varieties cook more quickly or slowly than others, or have a sweeter or more tart flavor, using several different apples creates a mix of textures and flavors in the pie. Some favorites to try here are Granny Smith, Jonagold, Fuji, Pippin, Braeburn, and Golden Delicious. Great Tip! As you peel, core, and slice the apples, put the apple slices in a bowl and sprinkle with a little lemon juice or apple cider vinegar to prevent them from discoloring. The crust for this apple-cranberry pie is made extra special with the addition of finely ground almonds. This adds a nutty flavor and a toothsome texture that goes well with this pie filling. This said, you can also use our sour cream pie crust for this recipe if you’d prefer to skip the nuts or are allergic. Want a crust that your guests will all oooh and ahhh over? Brush the top of your pie with a mixture of egg yolk and cream just before it goes into the oven. This will give your crust a deeply golden color and a beautifully shiny surface. Updated November 20, 2018 : We spiffed up this post a little to make it sparkle! No changes to the recipe. As you peel, core, and slice the apples, put the apple slices in a bowl and sprinkle with a little lemon juice or apple cider vinegar to prevent them from discoloring. The crust recipe given includes ground almonds which give the crust a lovely flavor that works well with the apples and cranberries. You can also use our favorite sour cream pie crust that is easy to put together and makes an especially flaky crust. 1 Make the pie dough: In a food processor, combine flour, almond flour, salt and brown sugar, pulse to mix. Add butter and pulse 6 to 8 times, until mixture resembles coarse meal, with pea size pieces of butter. Add water 1 Tablespoon at a time, pulsing until mixture just begins to clump together. If you pinch some of the crumbly dough and it holds together, it's ready, if not, add a little more ice water and pulse again. 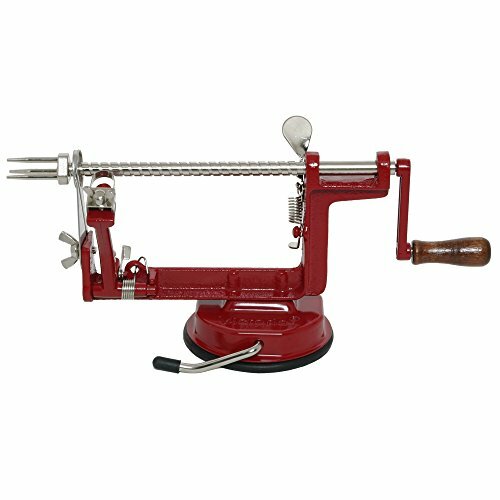 Remove dough from machine and place on a clean surface. Carefully shape into 2 discs. Do not over-knead the dough! You should still be able to see little bits of butter in the dough. These bits of butter are what will allow the result crust to be flaky. Wrap each disc in plastic wrap and refrigerate at least 1 hour. 2 Preheat oven to 375°F with a rack in the bottom third of the oven. 3 Make the apple filling: Whisk together the sugar, flour, and allspice or cinnamon in a large bowl. Add the dried sweetened cranberries and toss to coat with the sugar flour mixture. Add the apples and toss to coat and make sure that the cranberries are well distributed throughout the apples. Sprinkle with the brandy and vanilla extract. 4 Roll out the bottom crust: Remove one crust disk from the refrigerator. Let sit at room temperature for 5-10 minutes. Sprinkle some flour on top of the disk. Roll out with a rolling pin on a lightly floured surface to a 12 inch circle; about 1/8 of an inch thick. As you roll out the dough, use a metal spatula to check if the dough is sticking to the surface below. Add a few sprinkles of flour if necessary to keep the dough from sticking. 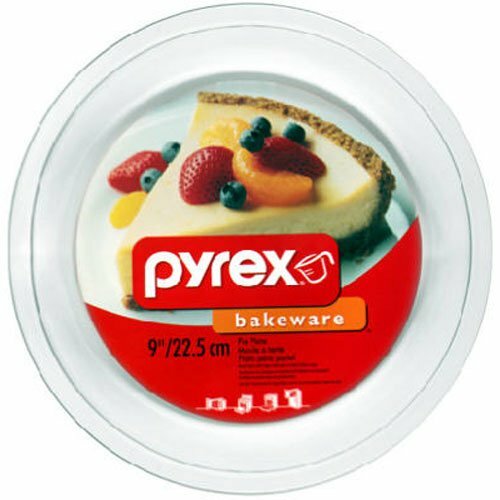 Place on a 9-inch pyrex pie dish. Press down to line the pie dish with the dough. 5 Place the apple cranberry filling in the pie dish. 6 Roll out top crust, top the pie, crimp edges: Roll out second disk of dough, as before. Gently place on top of the apples in the pie. Pinch top and bottom of dough rounds firmly together. Trim excess dough with kitchen shears, leaving a 3/4 inch overhang. Fold dough under itself so that the edge of the fold is flush with the edge of the pan. Flute edges using thumb and forefinger or press with a fork. 7 Brush pie with egg wash: In a small bowl whisk together the egg yolk and cream until well blended. Use a pastry brush to brush over the top of the pie. Use a sharp knife to cut slits in the top crust to allow steam to escape as the pie bakes. 8 Bake: Bake the pie at 375°F for 30 minutes. Then place a sheet of aluminum foil over the pie and lower the oven temp to 350°F. Bake for another 45 to 55 minutes or longer, depending on the type of apples you are using. When done the crust should be golden brown and the apples soft and cooked through. Remove the pie and let cool on a rack for at least one hour. Serve pie warm or at room temperature. Hello! All photos and content are copyright protected. Please do not use our photos without prior written permission. If you wish to republish this recipe, please rewrite the recipe in your own unique words and link back to Apple Cranberry Pie on Simply Recipes. Thank you! I’ve made this a number of times and it always comes out perfect. I’m making this again for Thanksgiving. I’m so glad you like it Caroline! I make this pie for my family every Thanksgiving. I made this recipe. Yum! I use hand crushed corn flakes on the bottom of the crust to absorb juices. It keeps the crust from getting soggy. I used granny smith apples but sometimes I mix yellow delicious with granny smith. Instead of egg wash. I do with milk instead. Is there any substitute for egg wash on the the top of pie ? Hi Gagan, you could do a simple brush with heavy cream, then sprinkle with coarse sugar. Or you could skip it all together. Thank you so much Elise for your kind reply . Hi can I make this a week in advance and pop it into the freezer ?? if so do I freeze it before cooking or after cooking ? Hi Nancy, I think it will work better if you freeze the pie before baking. I made this today and it turned out great! The crust in particular was very well received. I’ll be making this again, and playing around with some variations! I made this pie for Thanksgiving this year and everyone loved it – thank you! I want to make it again for Christmas and four vegans will be attending dinner so I’d like to know if you’ve ever used coconut oil in place of butter or shortening in pie crust or/and if you think it might work in your crust recipe? I don’t like the oils used in Earthbalance so I figure it has to be butter or coconut oil or it’s not going to work. Thanks! Hi, Looks great. I plan on making this for Thanksgiving this year. Is it possible to make any part of this the day before? I made this with a store bought crust, and other than going a little heavy on the dried cranberries (1 1/4 cup) followed directions (although I used plain cheap brandy). I love the pie, but it did have a hint of tartness. Could the tartness be because my apples were about a month old, the cranberries I got were a bit more tart, or is it supposed to be that way? The reason you don’t brush edges with egg wash is because the rim has a tendency to brown faster than the top of the pie. By omitting the egg wash on the edge you should have a more even color and not risk burning. This is the first pie I’ve ever made and it turned out great! Thank you Elise for the great site and recipes. Hi, Elise. This pie looks divine. One question – can I use fresh cranberries and if so, how much? I make a cranberry Apple pie with fresh cranberries cooking them down with sugar and then add apples to the mixture. Everyone raves about this pie at Thanksgiving. Thanks for the recipe–the pie looks gorgeous! I was just wondering–is there a substitute for the Brandy? I never have any on hand. Would increasing the Vanilla extract do? Note from Elise: I wouldn’t increase the vanilla, that would make it too vanilla-y. Just skip the brandy if you don’t have any. Just the smell of the cooked pie is almost enough to satisfy…of course, it doesn’t stop me from hoeing into the pie, I’m not THAT strong! Congratulations on a great site! I agree this is one of the best apple pies! I just had a problem with the dough, I hope you can help me solve it. At the end it turned out like sand! Sounds funny, but it’s best word to descride it. What did go wrong? Hi Susanne – it’s good isn’t it? I think this is my favorite pie too. Regarding the edges, I have no idea why on that instruction, so I removed the note. So, you don’t have pies in Germany, really? I guess we take them for granted here. BTW, here is an interesting link on The History of Pies. Hi Josh – I love the pic! Thanks for posting. And I’m so glad you liked the pie. Isn’t the crust wonderful? I’ve made this pie 3 times in the last 2 days – one with dried cranberries, one with raisins, and one with dried cherries. Regarding the pie shield, I pop the pie shield on 15 minutes into the cooking and it seems to be the perfect amount of time. I just made this. Very, very good! I can personally attest that this is a spectacularly good pie! It’s now in my personal recipe file–thank you Elise!